Qualified Casino Neon Nights Players are eligible for personal VIP Casino Host services. URComped negotiates aggressively to ensure that thousands of URComped VIP members, including players from Casino Neon Nights, receive the best comp offers and personalized VIP service at casinos and cruise lines around the world. If you have elevated tier status or a casino host assigned to you at Casino Neon Nights or other casino properties, then there is an excellent chance you qualify for VIP offers at URComped partner casinos and cruise lines. 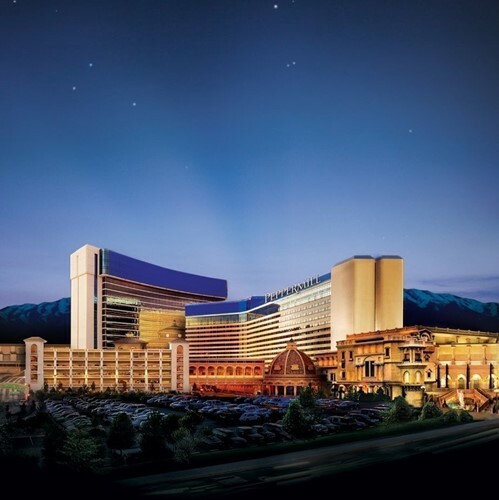 OR, If you would like to be notified as soon as comp offers become available for Casino Neon Nights, such as free slot play, buffet coupons, or hotel deals, enter your email below. Check in was quick. All the staff from the front desk to housekeeping we're super friendly and hospitable. We were upgraded from a regular king room in the Peppermill Tower to the Tuscany Suite in the Tuscany Tower. The room and bathroom were amazing and very clean. We went to the island buffet which was good since they have unlimited mimosas. Definitely check out Spa Toscana. It is worth it IMO. The pool area can be crowded but usually can find lounge chairs. The casino is as expected however it feels harder to earn comp points per dollar amount. I would definitely go back again. To begin, I stayed at this location for 8 days. It’s very nice overall. There are plenty of places to eat inside of the hotel yet it’s a hit and miss experience as far as quality of the food. The Island Buffet has the best food in my opinion and worth the price tag (it’s expensive). I stayed in the North tower, my room was very dated and had a weird smell but it was clean. I peeked at a few other rooms in my same hallway and those rooms were huge and appealing to the eye. I guess I picked the short straw on that one. The staff is superb and were very helpful with any questions I had. My favorite part of the hotel, there is a nightclub and it was LIVE. I had a great time at the nightclub and would go back every night if I could. The pool was decent however I wish there was a rule against small children getting in the hot tub as well. Blow up toys, inner tubes, loud screeching and splashing takes away from the goal of relaxing. Overall my experience was nice and I would totally visit again. Peppermill offers one of the better buffets in Reno, Island Buffet. The dishes are creative, flavorful, and interesting. The quality is mostly good, but not exceptional. The price is high but a nice treat if you want to indulge. The casino is very nice. I'd recommend this casino for dinner or entertainment. We do NOT currently have any offers for Casino Neon Nights. However, if you have NOT played at Casino Neon Nights for 2 years or more and typically play at the levels outlined below, the URComped team will try our best to help you get COMPED by connecting you directly with an on property host.